Xixi National Wetland Park has a long history with profound cultural heritage and it has even been regarded as a pure land for hermits. Qiuxue'an and Bo'an, Meizhu Villa and Xixicao Institute were all established by famous literati in history. With its wonderful landscape and natural environment, Xixi is not only a paradise for flora and fauna but for many kinds of birds also. 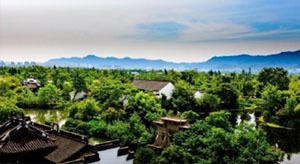 With flocks of birds flying freely in the sky, Xixi is a harmonious window to a natural eco-system. 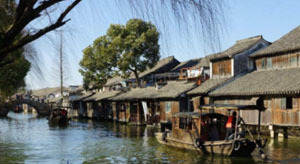 Wuzhen, a town with a history of 1,200 years, is widely known as one of the ten historical cultural towns in China, popular China destinations in 2005, charming town of China. This small town still retains many distinctive river ports, bridges, stores alongside rivers and lakes. The town is divided into 4 parts, Dongzha, Nanzha, Xizha, and Beizha by local people, and Dongzha and Xizha are the two most favored by tourists. 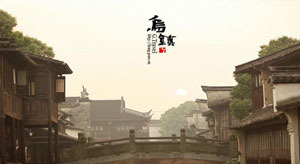 Dongzha has maintained the basic original layout that is in the style of ancient Chinese towns. The black bricks and white walls and people living alongside rivers give it the typical appearance of a traditional Chinese ink drawing. Wandering along the river or strolling in the lanes, one is deeply impressed by the picturesque scenery and pace of life in Wuzhen. 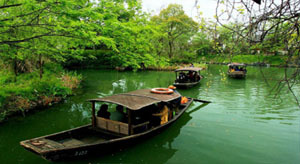 China boasts as many as thirty-six West Lakes, but the one of which in Hangzhou is the most magnificent with exceptional natural beauty. 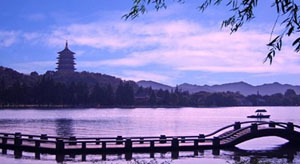 As the old saying goes, “Of the thirty-six West Lakes east or west, the West Lake in Hangzhou is the best.” Due to its brilliant historical and cultural status, the West Lake is the most significant landmark in Hangzhou, a National Key Scenic Resort and nominated as a National 5A Tourist Resort. 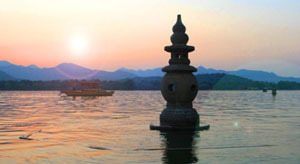 The beauty of the West Lake has won the city a reputation as a popular resort area in China. 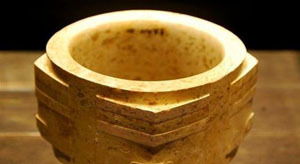 Liangzhu Museum, with the exhibition of "Liangzhu Culture Empirical Five Thousand Years of Civilization", highlights the Liangzhu civilization in China and the world of similar or the same period of civilization. Exhibition design concept is: elegant and friendly. Exhibition to innovative design concept, the rational use of advanced display methods and means to strive to resolve the professional elements of Liangzhu culture, the museum became a considerable, can learn, can touch, play the civilians of the museum. 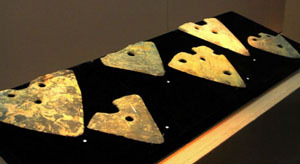 In the three interconnected and independent Display Hall, respectively, display three major contents such as "Find Truth", "Liangzhu Ancient Country" and "Liangzhu Civilization".